"thick mats. Fits into places where the thicker, 24" pit mats would be too large or impractical. Our 24" pits are filled with layered and channeled polyfoam, which provides optimal air expulsion and enables easy, economical filler replacement in the event of damage to top or bottom layer. The top, mesh cover is attached using hook & loop (like Velcro) fasteners (there are no zippers). 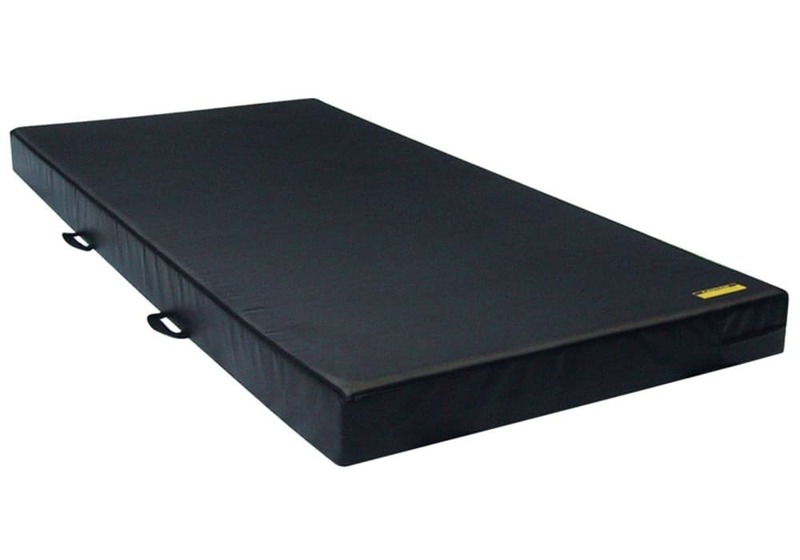 These mats are specifically designed for stunt professionals and can be used for a wide range of applications. The side panels and bottom are made of durable, solid, 18 oz. coated vinyl; the top cover is made of a "breather mesh" material. 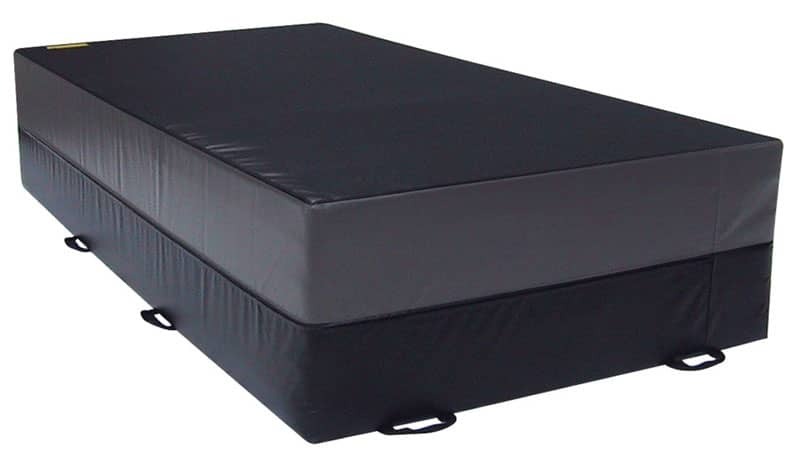 Each mat has sturdy nylon handles that are conveniently and securely attached for easy positioning and transport. 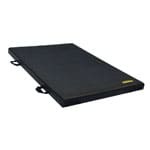 Contemporary circus schools and performers in need of training and fall protection mats that fold and have handles for frequent moving in and out of storage. Aerial training such as Trapeze, Silks, and Lyra. Cover: Durable 18 oz. vinyl coated fabric. Can be fully customized including thickness, foam density, color, handles, folds, etc. Add your requirements to your quote request. Made-to-Order. Call for current production time.